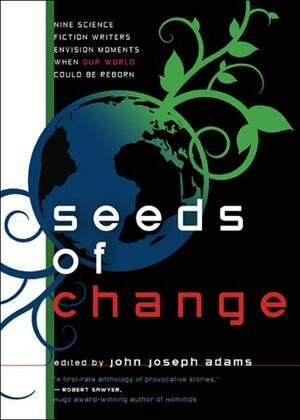 Yesterday we told you about a great new anthology edited by John Joseph Adams called Seeds of Change, and today we have a nice treat for your brain. Adams has posted some of the stories from the anthology online for you. Most awesome is one called "Resistance," by Tobias Buckell — it's about Pepper, one of the characters in his outerspace ninja vs. zombies novel Sly Mongoose. The other we're excited about is Jay "Escapement" Lake's story "The Future by Degrees," which is a swashbuckler about thermal superconductivity. Check them out, and buy the book!